Beijing has suspended Chinese ships from the Golden Triangle area of the Mekong River following the brutal murder of at least 12 Chinese crewmen on Oct. 5. The Chinese Foreign Ministry has demanded that regional partners Burma, Thailand and Laos take immediate action to find the perpetrators. 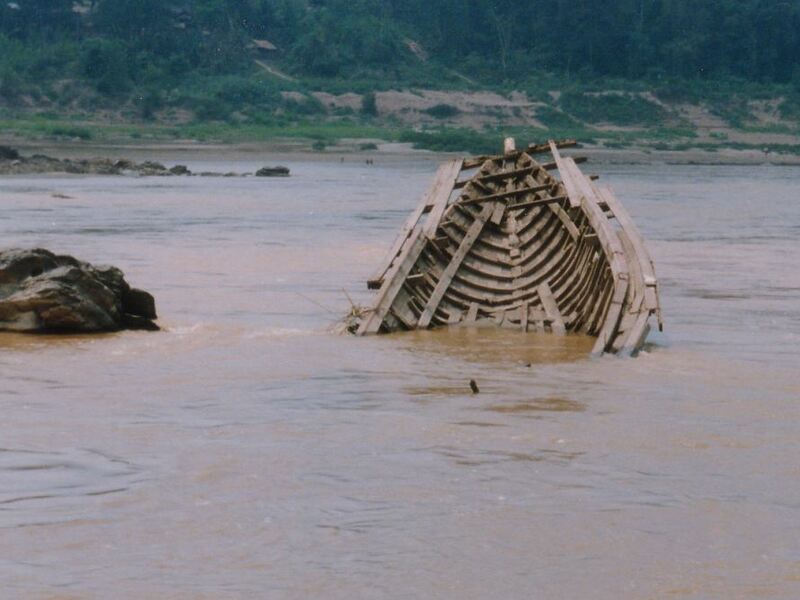 Attention has quickly focused on the only suspect in the case, Naw Kham, the notorious leader of a private militia which has for five years terrorized the crews of vessels, almost invariably Chinese cargo ships, sailing on the Mekong in the narrow stretch between Laos and Burma. Chinese Foreign Ministry spokesman Liu Weimin said on Tuesday that 12 Chinese crewmen were killed and one remains missing after two cargo ships, the Hua Ping and Yu Xing 8, were attacked and hijacked, according to the state-run Xinhua News Agency. The unmanned ships were discovered floating downriver near the port of Chiang Saen by Thai police on the morning of Oct. 5. Police discovered on board the body of one man who had been shot. Later that day, the bodies of 11 others were recovered from the river. By one account, Naw Kham’s capture was the top priority of the four-nation Mekong patrol force established after the October murders. What happened to the 44 million baht that didn’t make it to the Lao authorities? Capture commission? What’s going to happen to the million odd ya ma pills? Ceremonial burning for DEA officials at an auspicious future date? Was it the Lao police, Lao army or casino security team that caught Jai Norkham’s group? Interesting how a Thai bounty can motivate a quick capture in Laos. One wonders how much private $ stimulated the Isan killings of Lao ‘rebel figures’ in the early 2000s. It is so exciting to see our own China is behaving almost like the big brother American. Their arm is growing longer just in a wink! May be they are right all along. It is the money and killing ability that matters in the world.